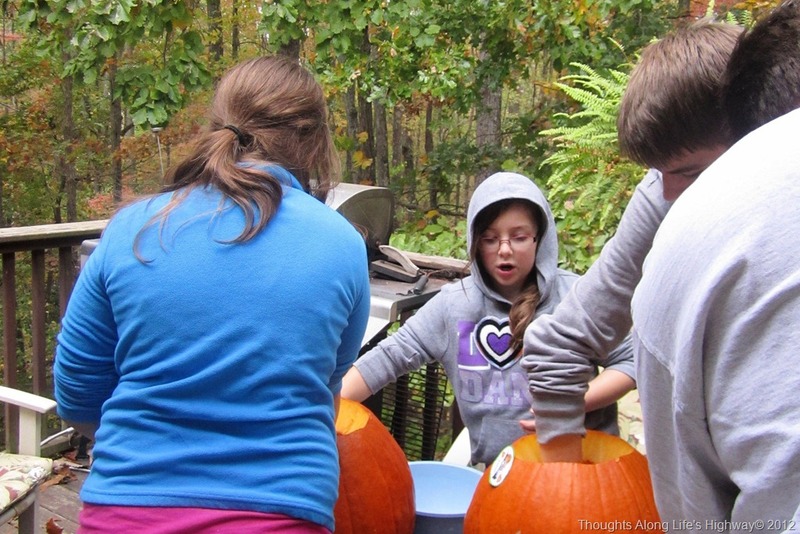 This year, the kids came up with some clever ideas for their Halloween pumpkins. Little Bit decided to have a “glamour vampire pumpkin” and Big Girl decided to have a “French pumpkin,” complete with a beret. in spite of the gross innards they had to remove. 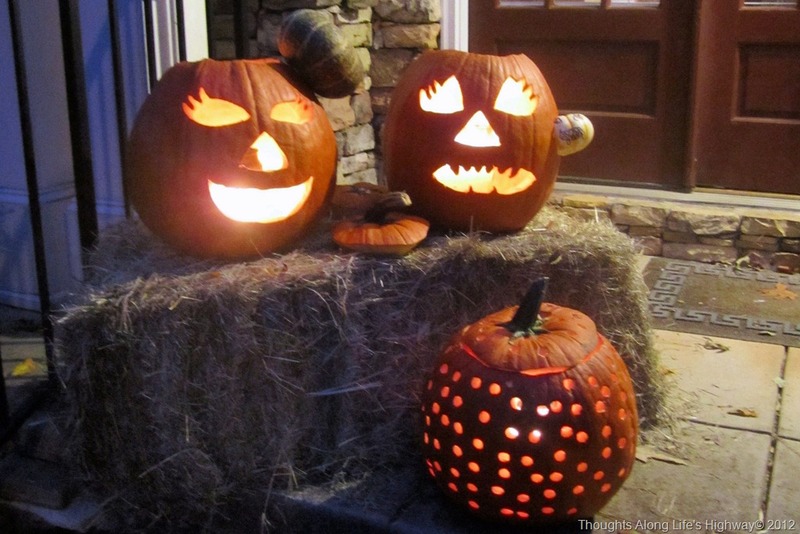 I chose the “polka dot” pumpkin – easy for SuperMan to do with a drill and yet very striking at night. I think they turned out awesome, don’t you? 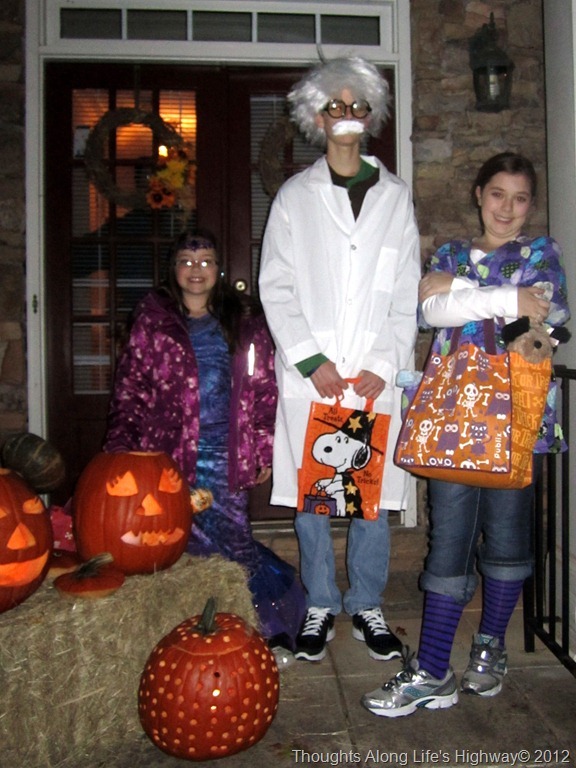 And then Halloween night rolled around – Trick-or-Treating as a Vet, a Mermaid and a Mad Scientist. I think they were so cute!! 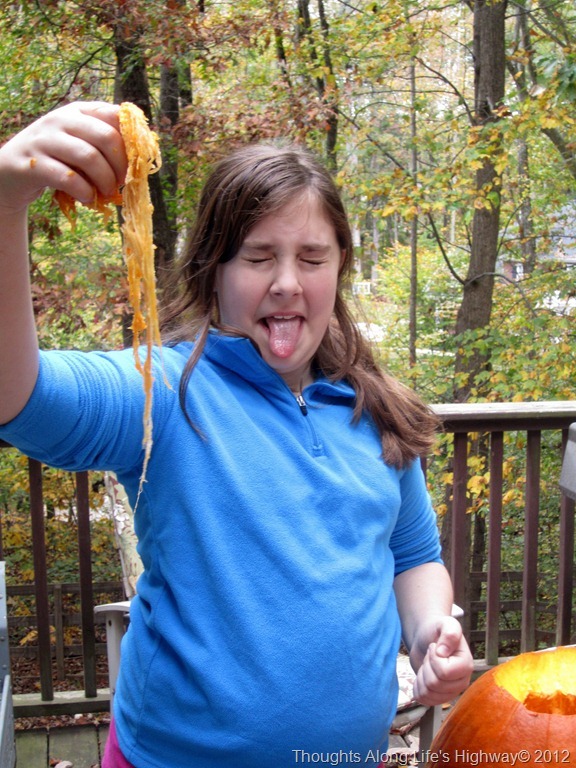 and now the Halloween candy is gone and we’re gearing up for Thanksgiving – I need to start working on my menu! What about you!?! Cherish this time… I miss it. I wish I could go back and do more of it. 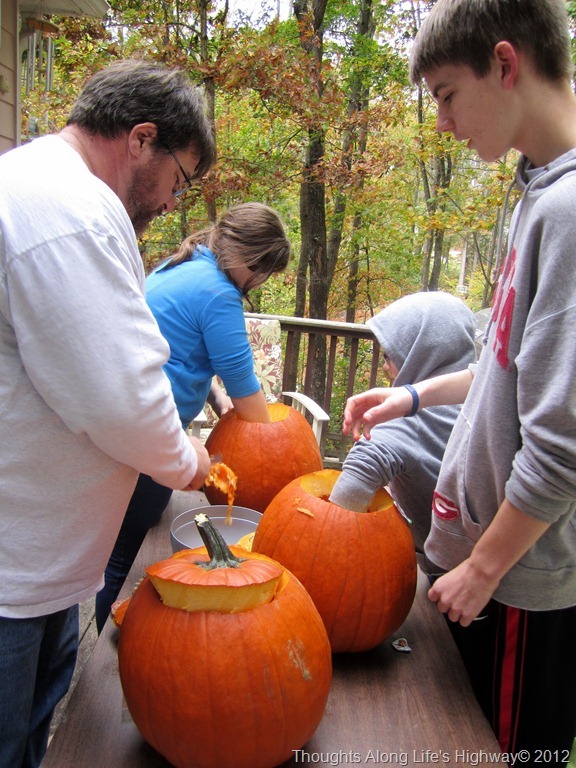 As a single mom, for a lot of the boys’ younger years, we didn’t do near as much fun things like this as we should have. You and Rob are such great parents. Your kids are going to have so many wonderful memories.